Holi is the festival of color — a festival that celebrates the victory of good over evil and a celebration of the arrival of spring and harvests to come. 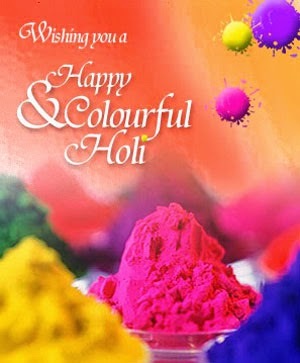 It’s the festival of colors, emotions, and happiness. It is one of the most vibrant festivals that are celebrated with immense fervor in the whole of India. It is a major festival that is celebrated with unbridled joy. This is celebrated as a mark of the arrival of spring season. In many parts of India, it is celebrated as the festival of spring or Vasanta Utsav. Different powdered colors that are used in abundance during the festival. It marks the various colors of bloom of the spring season. The colors mark the joy and abundance and they are meant to be applied on the faces of all those one meets. The traditional colors of this special festival are in fact associated with the story and belief of the eternal and divine love of Lord Krishna and that of his consort Radhika. It is celebrated as a mark of love where one gets the freedom to apply colors on his beloved’s face. Traditionally this special festival was meant to celebrate the arrival of spring. The colors used during this festival denote the various hues of the spring season. In the good old days people made use of natural colors extracted from flowers for playing Holi. Today artificial colors containing harsh and harmful chemicals are used during the festival of colors. This festival helps to bring the society together and strengthen the secular fabric of our country. Also, the tradition of this festival is that even the enemies turn friends and forget any feeling of hardship that may be present. Besides, on this day people do not differentiate between the rich and poor and everybody celebrate the festival together with a spirit of a brotherhood. In the evening people visit friends and relatives and exchange gifts, sweets and greetings. This helps in revitalizing relationships and strengthening emotional bonds between people. Days before Holi, the markets get flooded with the colors of every hue. It is the best time and season to celebrate; it provides this opportunity and people take every advantage of it. In the time of this special festival gift play a most important role. In the ceremony of Holi, birthday, marriage, in the occasions of arrival of new born or any kind of occasion, different online store for those special moments are always ready. 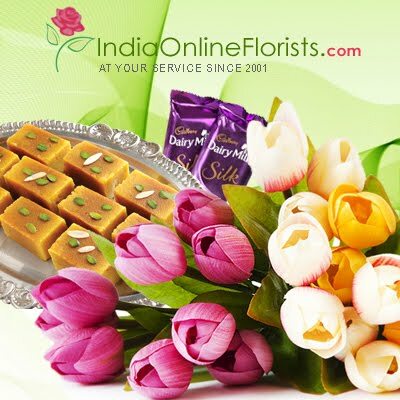 Flowers, Cakes, Fresh Fruit Basket and sweets are delivered through different online stores at enlisted locations all over India at the same day. Celebrate each and every occasion with this awesome presents and make it more bright and beautiful.